All new members of the South Carolina State Guard must complete an orientation and in-processing course with the Francis Marion Reception Company which includes entry-level training in anti-terrorism and force protection, uniform issue, processing for ID cards, and registration for email accounts. 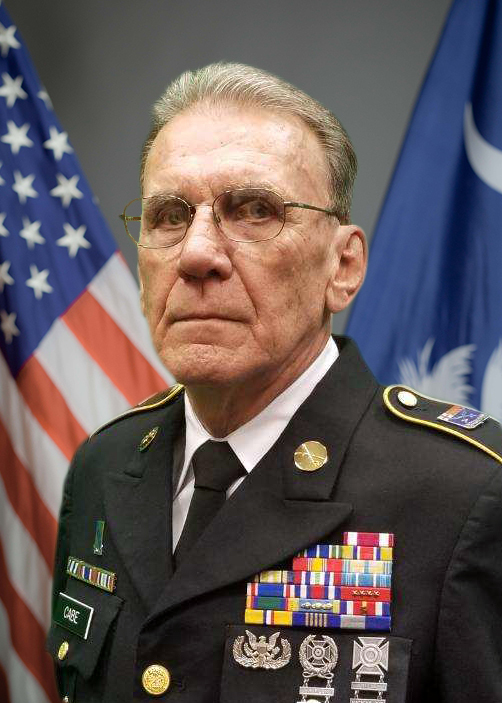 Prior service personnel are dismissed when in-processing is complete; those new to the military will continue at Francis Marion Reception for training in Basic Soldier Skills. 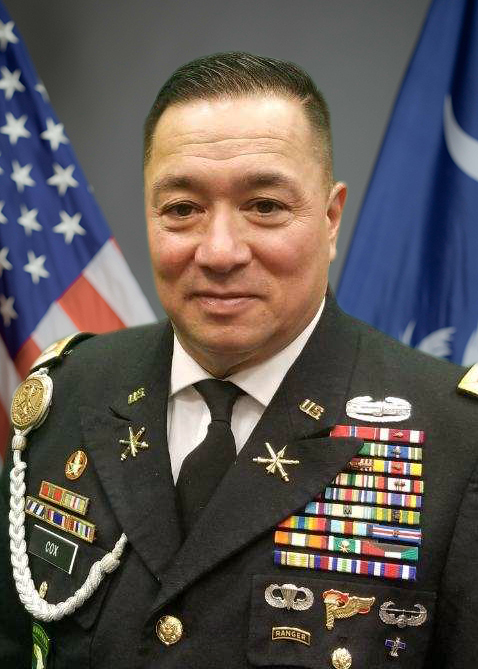 Basic Soldier Skills includes drill and ceremonies, wear of the uniform, grooming, deployment readiness, military rank structure, military courtesy, and introduction to military leadership. This training, comprised of 22 hours over two weekends, prepares non-prior service persons to effectively function in a military environment. 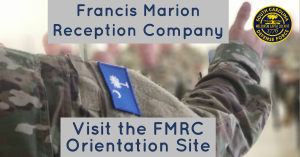 Francis Marion Reception Company training is required before non- prior service personnel may be deployed. Invitations to attend Francis Marion Reception Company are issued by the SCSG Administrative Section after all application documents have been verified. 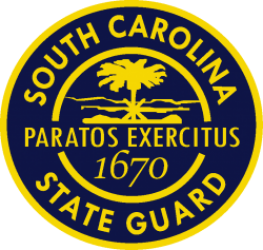 The South Carolina State Guard Military Academy serves as the foundation for all Professional Military Education for the State Guard. Over the past several years the training requirements and focus of the Academy has undergone some dramatic changes. Lessons learned during the great flood of 2015 and subsequent emergencies have redefined how we approach training.The Military Academy offers courses throughout the year. Specific dates for open courses are provided in the Student Handbook. Academy Course Registration is no longer handled online. Individuals must go through their Chain of Command to request attendance to an Academy Course. If you have any questions please contact your Chain of Command. The SCSG Academy Staff look forward to seeing many of you at the Academy in 2019. The last day to register for the upcoming BLC & OBC Courses with your Chain of Command will be Friday, 08 February, 2019. The Basic Training Course is no longer being offered. In the future, attendance at the Francis Marion Reception Company will count as the new member’s basic training and introduction to the SCSG. If you have not previously attended the Basic Training Course your first SCSG Academy Course will be with BLC or OBC. Check with your Chain of Command if you have any questions. We will not finalize dates until later in the year. These courses will be held in September, October and November, 2019. Please let your Chain of Command know if you are interested in attending. We have not determined if we have enough individuals that require these courses. If you need to attend these courses, please notify your Chain of Command so that the Academy Staff can determine if there is enough of a need to conduct these courses in 2019. If we do conduct these courses they will be held in the fall of 2019. 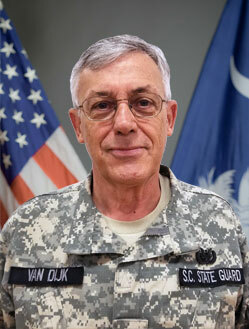 MAJ Howard van Dijk (howard.vandijk@sg.sc.gov) is the SCSG Coordinator for CERT. He can advise you on course availability. You may also check with your county Emergency Management Division office for local course availability. CERT must be completed before you can participate in any deployment. IS 317 (Prerequisite to CERT): This is an online FEMA course which can be found on the FEMA Training website. You must take this course before taking the CERT course. CERT: This is a 20-hour class, taught in two full days or several evenings. All SCSG Personnel should complete the nine MEMS courses within the first six months of your SCSG membership. The required courses, shown below, are available online, free of charge, at the FEMA web site under Training, Independent Study Program (ISP). Click here to visit the FEMA Web Site. Additional information about MEMS requirements is available from State Guard Association of the United States’s website. Scroll down the list of links to download the most recent MEMS Student Manual. The McCrady Training Center occupies the eastern third of the Fort Jackson footprint. The state-of-the-art facilities and thorough training provided by our cadre, ensures our troops have the most efficient and useful military training available anywhere.Brigades participate in emergency preparedness exercises such as the National Disaster Medical System Exercise at Columbia Metropolitan Airport. 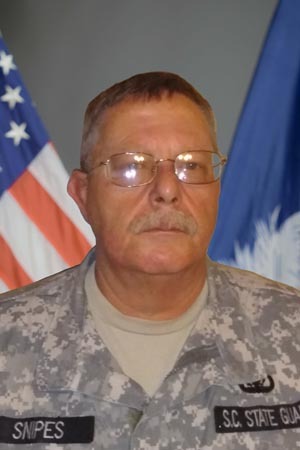 This exercise, a nationwide initiative of the U. S. Army is under the direction of Moncrief Army Hospital, located at Ft. Jackson, for South Carolina. It simulates a natural disaster with patients transported from a disaster scene to a staging area for triage and further transport to local hospitals for treatment.